Wow! We are three days into March and I feel like I haven’t written here very much at all! Actually it’s only been a couple of days since I made my big announcement, and I am kind of relaxing a bit before all the work begins. Just a few days ago it was cold and rainy. But today…well…today it was absolutely beautiful! Sunny, warm and bustling with a lot of people. It’s Barrel Tasting Weekend in the Russian River Valley and there are tons of people here in Healdsburg, CA where I live. Time to hide out and get some concentrated writing done. Or not. Maybe I’ll just watch some tv or a couple of movies. Or better yet, read a few books. Oh! I know! 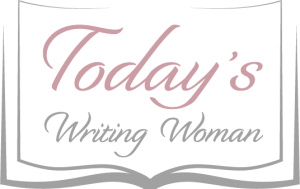 How about reading some of my writing friends blogs? I haven’t done that in a long time…so I did! Left you guys some comments and as always, your writing is awesome! I have lots of thoughts rambling thru my head and really need to start getting them down on paper. I’ve been looking at all the challenges I have missed and will probably go back and add my two cents on those that interest me. You never know when those ideas turn into something bigger! So look for these new posts from me soon. The sun is starting to set here in California, which means Saturday is winding down. I still have one more day to the weekend and have no idea what I am going to do. However, I hope to make the most of it! In the meantime, hope everyone is having a wonderful Saturday and if your Saturday is almost over, then I wish you the same for Sunday! Whatever you decide to do, I wish you moments of relaxation! Liked anything you see here? Then contact me at todaysworkingwoman@hotmail.com. I am always looking for more books/products to review.